Ayello, Harris and Associates, Inc.
Consultant- Revision of TAG F-314Pressure Ulcers Guidance for Surveyors for Long Term Care Facilities. Faculty- Satellite Training for Surveyors on Pressure Ulcers. "Draft Definition of Stage I Pressure Ulcers: Inclustion of Persons with Darkly Pigmented Skin"
Yale University from 2002 to 2004. New York University from 1991 to 2004.
consideration in wound bed preparation 2011: An update. Advances in Skin and Wound Care. 24(9):415-36, quiz 437-8. Sibbald, R.G., Ayello, E.A., (2010). Using consensus to build wound care evidence: The story of SCALE. 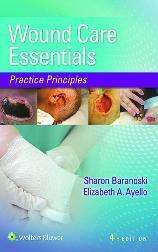 Advances in Skin and Wound Care. 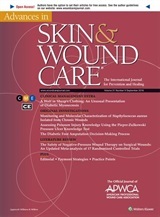 23(12):536-537.
concepts for healthcare Providers- A consensus paper from the International Expert Wound Care Adviosry Panel© Advances in Skin and Wound Care.23(11):493-495, 496-507. Levine, J.M. Roberson, S, Ayello, E.A. (2010). Essentials of MDS 3.0, Section M, Skin Conditions. ASWC 23(6):273-284; quiz 285-6. Roberson, S, Ayello, E.A. , Levine, J.(2010). Clarification of pressure ulcer staging in long-term care under MDS 2.0. ASWC 23(5):206-210. American Professional Wound Care Association. Kravitz, S, Krasner, D.L., Ayello, E.A. McGuire, J., Sibbald, R.G., Smith, A.O. Unger, P., Woo, K., Woodbury, G. (2010). Ayello, E.A. Gray, M.(2010). Networking in a global community. JWOCN. 37(2): 138. Key concepts for healthcare providers – A consensus paper from the International Expert Wound Care Advisory Panel. WCET 29(1):8-22. Lyder, C.H., Ayello, E.A. (2009). An annual checkup-One year after the implementation of the CMS present on admission and pressure ulcers. Advances in Skin and Wound Care. Ayello, E.A. , Sibbald, R.G., Woo, K.Y. (2009). Health care systems: What are the current problems? OWM Supplement. 23, April 2009. Woo, K.Y. Sibbald, R.G., Ayello, E.A. (2009). Wound edge effect. OWM Supplement. 21-22, April 2009. Sibbald, R.G., Woo, K.Y., Ayello, E.A. (2009). M- Moisture balance. OWM Supplement. 19-20 April 2009. Sibbald, R.G., Woo, K.Y., Ayello, E.A. (2009). I-Infection and inflammation. OWM Supplement. 15-18,April 2009. Woo, K.Y. Sibbald, R.G., Ayello, E.A. (2009). D- Debridement. OWM Supplement. 13-14, April 2009. Sibbald, R.G., Woo, K.Y., Ayello, E.A. (2009). Healing chronic wounds: DIM before DIME can help. OWM Supplement. 12, April 2009. Ayello, E.A. , Sibbald, R.G.(2009). USA report card: A tally of current wound care practices. OWM Supplement. 4-6. April 2009. Ayello, E.A. , Lyder, C.H.(2009). Initiative-based pressure ulcer care strategies. CMS Solutions. Supplement t LWW publications. 16-19, 22. June 2009. Tomic-Canic, M., Ayello, E.A., Stojadinovic, O, Golinko, M.S., Brem, H. (2008). Using gene transcription patterns (Bar coding scans) to guide wound debridement and healing. Cuddigan, J, Ayello, E.A., Black, J. Saving heels in critically ill patients. (2008). WCET 28(2):16-24. "Wound Care Essentials : Practice Principles"
NYU Langone Nursing is hosted the IIWCC in NYC July 26 - 30, 2017. United States (US) to host this course in 2013-2014.
staff time and care costs, and cause harm and suffering to our patients. Clinicians must provide comprehensive wound care, prevention, and treatment with reduced healthcare funding. of T upon course completion. held at the end of the course. Student selectives have been a powerful force that have changed practice in their work settings. Tuition for the one year program covers the course reading materials as well as course meals and refreshments during the residential weekends. and are subject to applicable taxes. in the wound care field related industry. partnership with the University of Toronto. and to translate new knowledge into practice. content translated from each students’ practice. proof of relevant skin and wound care experience. There are over 1000 graduates of the IIWCC.